During the average week in Sacramento County, almost 30 people die from accidents, suicides, SIDS and other tragic causes, impacting a wide circle of family and friends. 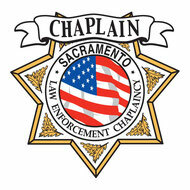 Formed in 1977, Law Enforcement Chaplaincy Sacramento is a nonsectarian nonprofit 501(c)(3) organization that offers a variety of crisis-related services throughout Sacramento County and beyond. Since 1996, its nonsectarian "community chaplain" program has provided crisis care to impacted survivors in partnership with virtually every public safety agency in the county. For more information, visit www.sacchaplains.com. To support the program financially, visit their donations page at Network for Good.